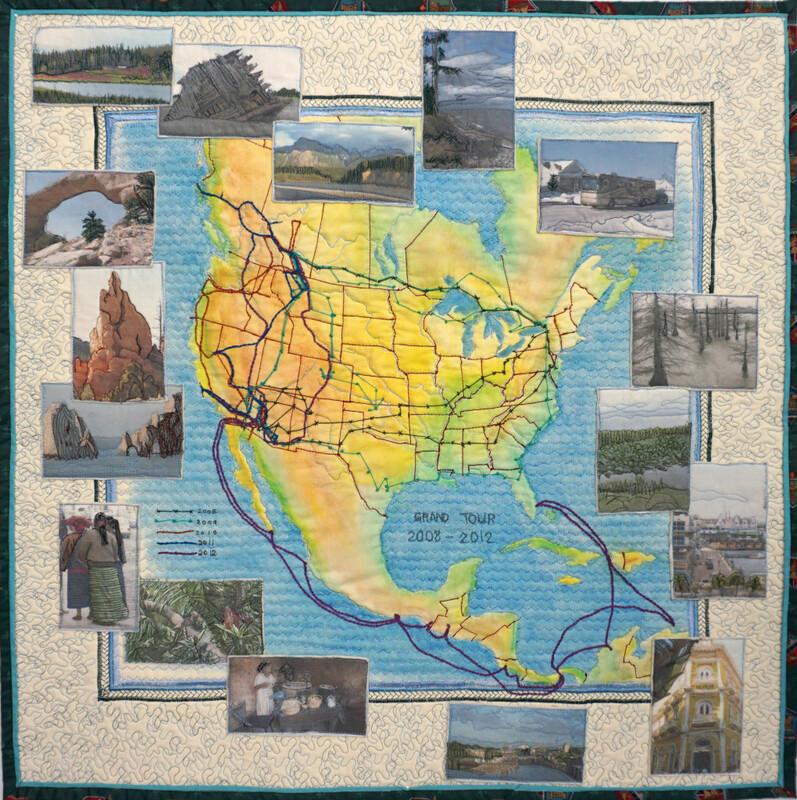 Grand Tour – Fading Memories 2008 – 2012 was create for a SAQA Calgary Pod exhibition in 2016. It documents our travels during our four years of full-time RVing, including our Panama Canal cruise with stops in Central America. Details can be found in Our travel blog.